The Swift Spec-R lowering springs are made for the true automotive enthusiast that wants to take their 370Z/350z to the next level. With a 10k / 1.25″ front drop and 10.5k / 1″ rear drop, your vehicle will achieve a safe lower center of gravity, a balanced ride, & reduce body roll. 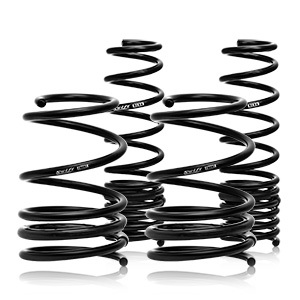 These high quality springs will truly unleashing your 370Z/350z’s suspension potential.